Last March using So Versatile Stamp Set from last years Occasions Mini Catalogue I created a very simple wedding invitation (see here) using Certainly Celery, Chocolate Chip and Whisper White. 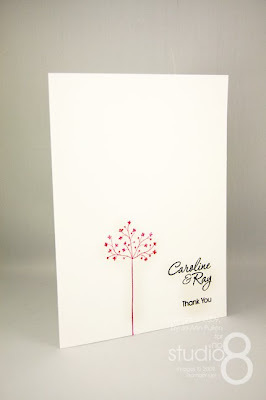 The combination of these colours and the So Versatile Stamp Set all from Stampin' Up are so calming yet very elegant. Below is a different spin on the same design using very different colours that I had to share. 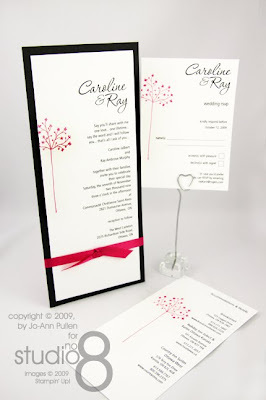 This colour combination was perfect for Ray and Carolyn Wedding and gave them the punch of colour that they were looking for and with a little glitter some sparkle that every wedding needs. 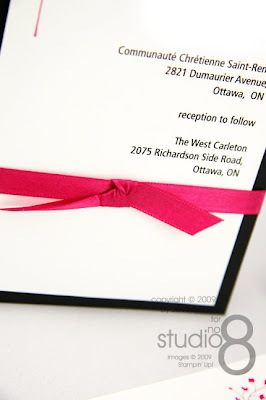 This invitation has a pocked in the back and ships in a standard business envelope ensuring shipping costs are at a minimum. 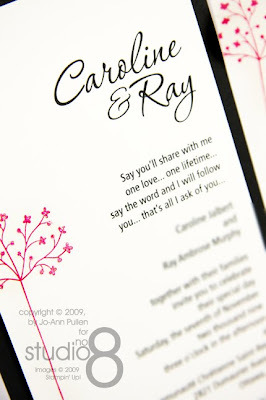 All products from Stampin' Up excluding ribbon. Invitation included, reply card and other events plus map. 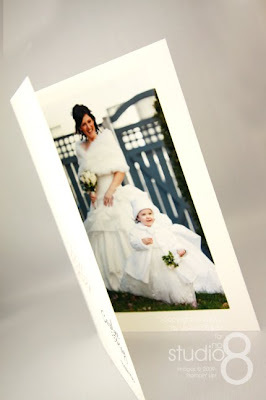 Custom Thank you card which enclosed a photo of the couple as a memory for their guests.